My heart feels so free and light after taking the whole day away to seek Jesus with every free second that I had. Don’t get me wrong, I didn’t have the day off from the daily grind. I still homeschooled my kids, trained for my triathlon, did housework, dinner, the whole sha-bang. But the whole time, I was conversing with Him. I was grabbing my scripture cards and reading one verse at a time instead of picking up my phone for a quick check. Drink- to receive into the soul what serves to refresh and strengthen, nourish it into LIFE eternal. What are you drinking today? 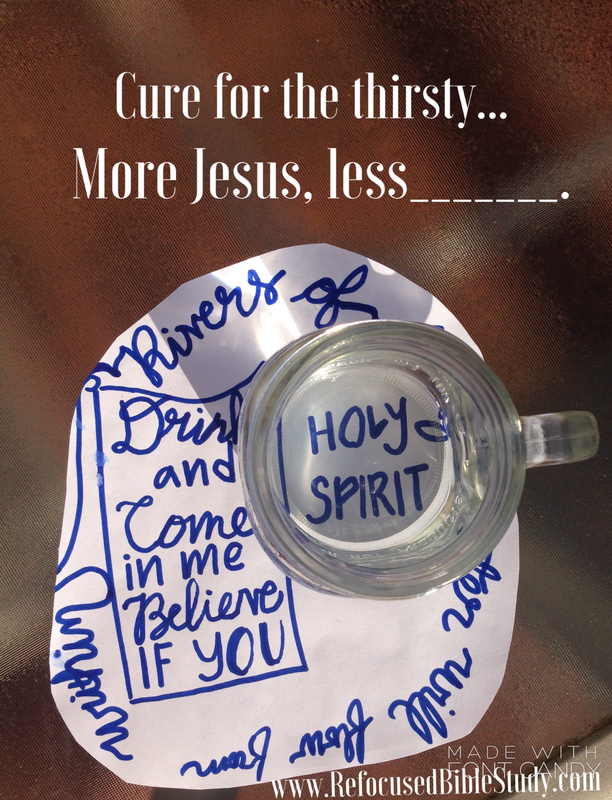 Are you taking in your recommended eight glasses of water a day, but failing to quench the thirst in your soul that can be nourished by Christ alone? I know many days I am guilty of this. I will drink in lots of mindless “water” that is not replenishing me in my soul. What is crazy about this, is that if you are a believer in Christ, the living water is right there, inside of you. You don’t have to go anywhere. Jesus is so good, that he gave us his Holy Spirit to be that perpetual spring inside of us that will never run dry. 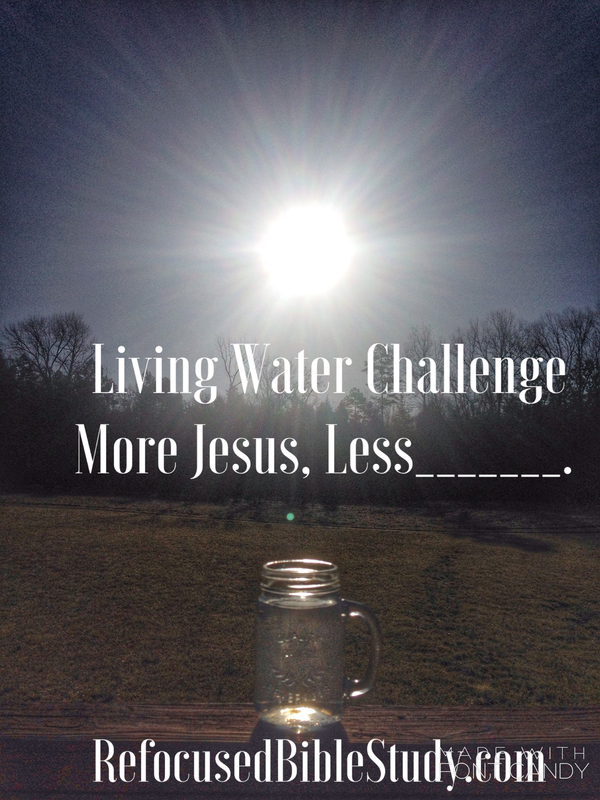 Take the Living Water challenge after you fill in the blanks for ONE DAY. Just one day. I promise you will feel so replenished that you will not want to go back! Walk with Life Himself today!